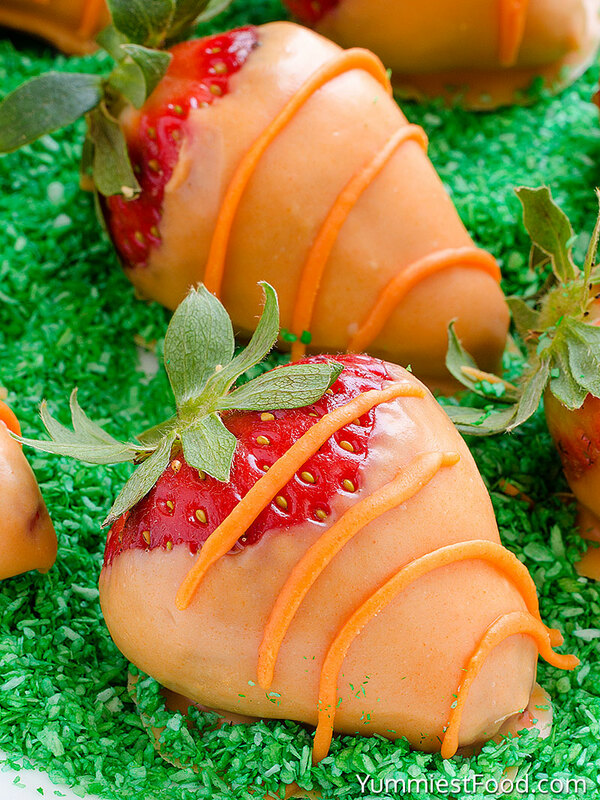 You only need a few ingredients for this Easter strawberry dessert, and your Easter family table will look incredible and full of imagination with this strawberry dessert! 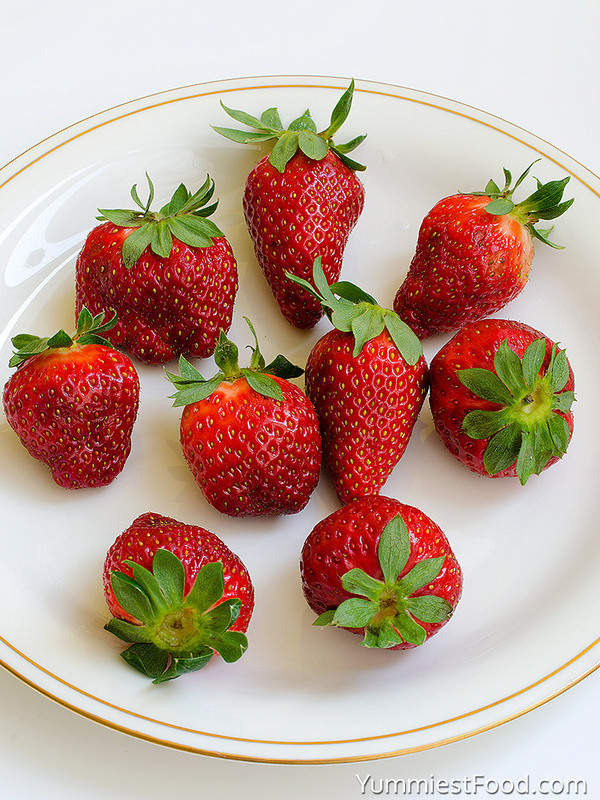 Strawberries are sweet fruits which we love. There are many recipes with strawberries, but I think that recipes with chocolate combination are the best. To make this recipe, you do not need any kitchen skills, buy these few ingredients and use your imagination. 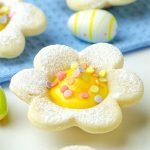 Very tasty, easy and your Easter family table will be very nice and everyone will be surprised. 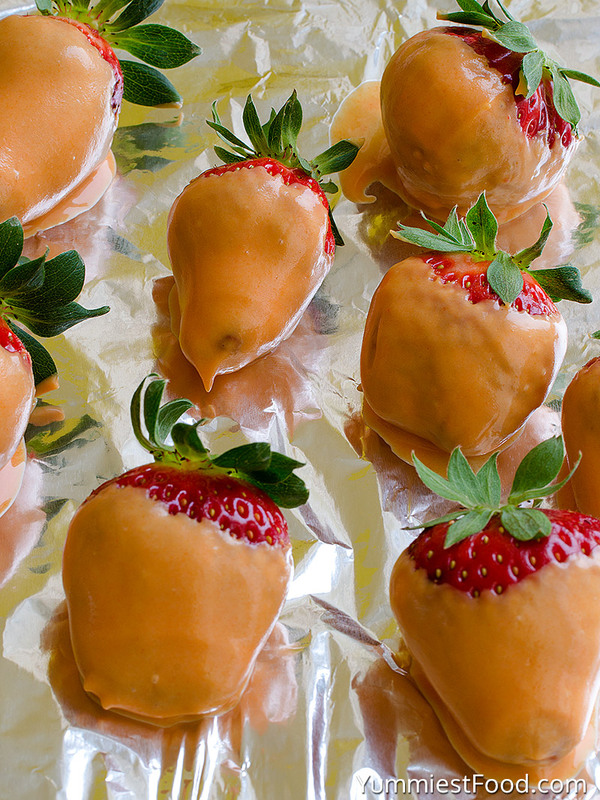 You only need a few bigger strawberries, bag of candy melts, your favorite cookies. 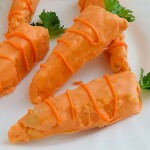 Easter is perfect occasion for family, and this strange sweet thing everyone will like on the first bite! 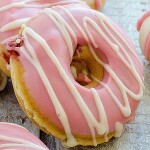 This recipe is one of ideas, how you can use strawberries, enjoy and use imagination. 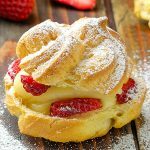 You can finish this Easter strawberry dessert for 30 minutes, so start now..
Wash the strawberries, dry them and do not remove green part (stem). Melt bag of orange candy, over medium heat for 4 minutes, stirring constantly. Dip strawberries on all sides, holding on green part. Leave them 10 minutes in the fridge to cool. 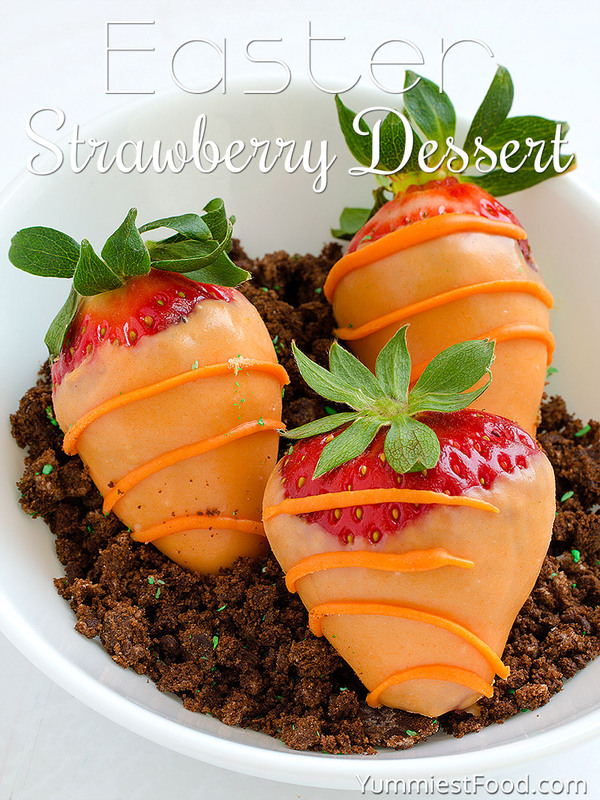 The rest of melted orange candy add in the pouch and scribble zigzag over cooled strawberries. Put strawberries over cookies, and decorate with green coconut.